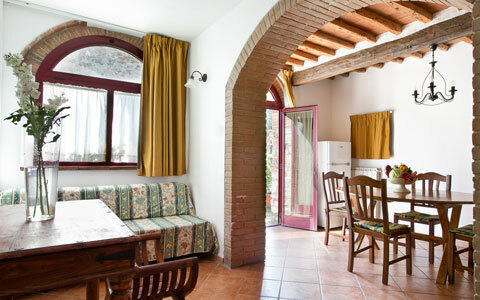 Three rooms, 60 square meters, with kitchen and TV, 2 double bedrooms (one with high window), a bathroom with shower. The apartment is at the first floor. On the ground floor there are tables, chairs and umbrellas for common use outdoors. It is possible to accommodate a + child (max 12 years) with accommodation in a cot or sofa bed. At no extra cost. 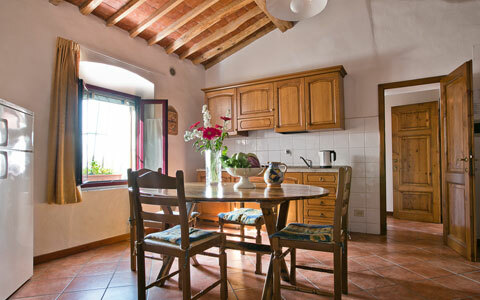 Three rooms, 55 sqm, consisting of small kitchen and TV, 2 double bedrooms, a bathroom with shower. The apartment is at the first floor. On the ground floor there are tables, chairs and umbrellas for common use.